(Evansville, Ind.) 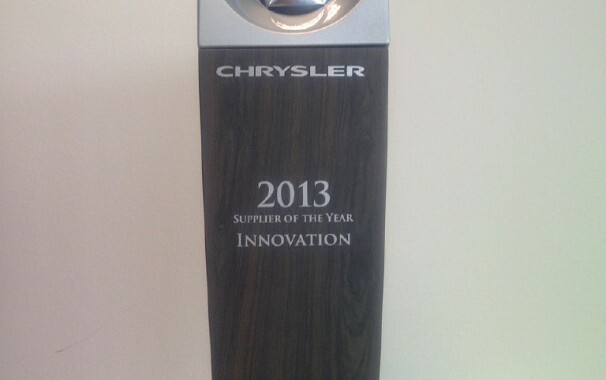 – Red Spot Paint and Varnish Co., Inc., was recently presented with the 2013 Chrysler Group Supplier of the Year Award for Innovation at the annual Supplier Strategy Meeting held in Auburn Hills, Mich. 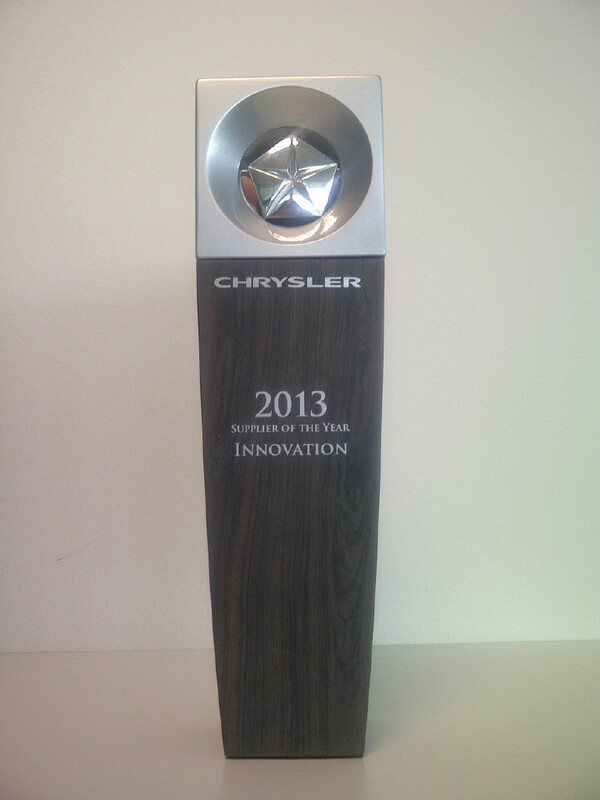 The award, given by Chrysler Group, LLC, was a result of a collaboration between Red Spot Paint and Varnish Co. and JVIS/Seungbo to create a new technology and process that replaces chrome plating or metallic metal parts. Red Spot’s contributions included two specialized, high performance coatings developed for this specific application: a base coat applied to the molded plastic part prior to the metallization process, and a tinted clearcoat applied to the surface after the metallization process. The basecoat fills any imperfections in the molded plastic part’s surface, leaving a flat, even surface to optimize the metallization. The topcoat supplies all the environmental and chemical resistance properties, as well as scratch/mar resistance and cleanability. Chrysler chose this technology/process for the interior trim on the new 2014 Jeep® Grand Cherokee. “Red Spot’s innovation and expertise helped provide the ability to create different interior themes in our brands. They leveraged global technology and implemented it in cost efficient locations, which is vital to our success,” said Doug Doran, Director of Product Development Purchasing for Chrysler. Red Spot Paint and Varnish Co., Inc., is a wholly owned subsidiary of Fujikura Kasei Ltd. With affiliates in every global market, Red Spot is able to supply and support its technology globally, as required by its global customers.